Par 71, yardage 6,420. 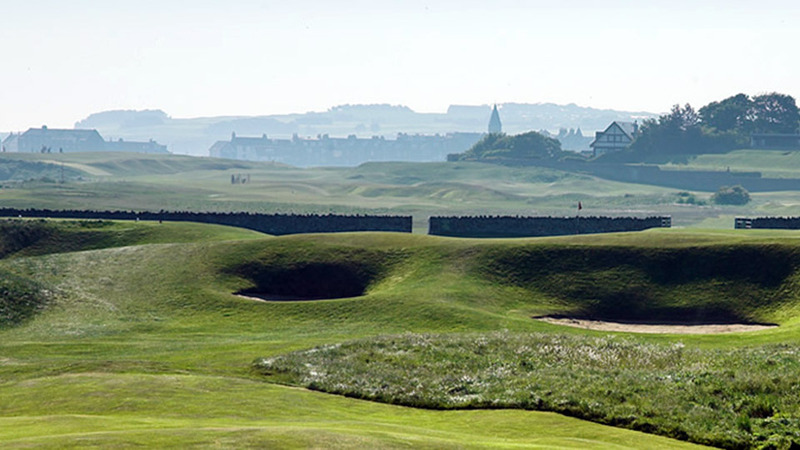 North Berwick is the 13th oldest club in the world and is second only to St. Andrews for continuous play. The club was formed in 1832 but golf had been played here long before. 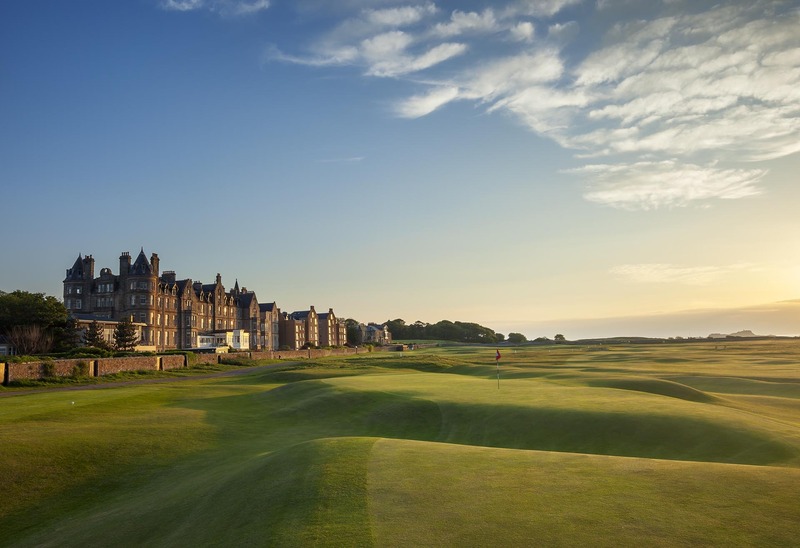 The course hosts qualifying when the Open is held at Muirfield and requires a fair amount of skill and shot execution in order to score a good round. North Berwick is similiar to Scottish seaside links courses with holes laid out among the dunes and hills by the North Sea. What makes the course unique are the ancient stone walls that dissect many of the holes, severe undulations, plus large rock surfaces among fairways and along some greens. 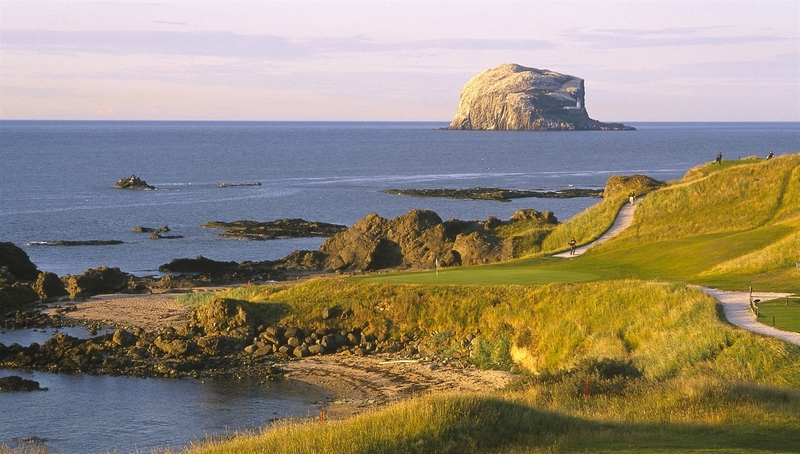 Hole #13 "The Pit" is one of the most distinctive holes at North Berwick and certainly one of the most photographed. One of the stone walls runs in front of a sunken green area framed by large dunes behind the green. Hole #15 "The Redan Hole" is the last par-3 on the course and famously the most replicated hole in golf course architecture, with many of the top 100 courses in the world featuring a Redan hole, but the original stands alone. The Redan green slopes significantly right-to-left and away from the player and player approaches must land on the raised right hand side to propel ball to left and towards center of the sunken green. But the most unique green on the course is on the 16th hole "The Gate". The green is made up of two islands with a 3-foot deep trench dividing both sections making approaches very challenging to hold a small area of the green. Golfers will always find North Berwich Golf Club genuinely welcoming and enjoyable to spend the day. 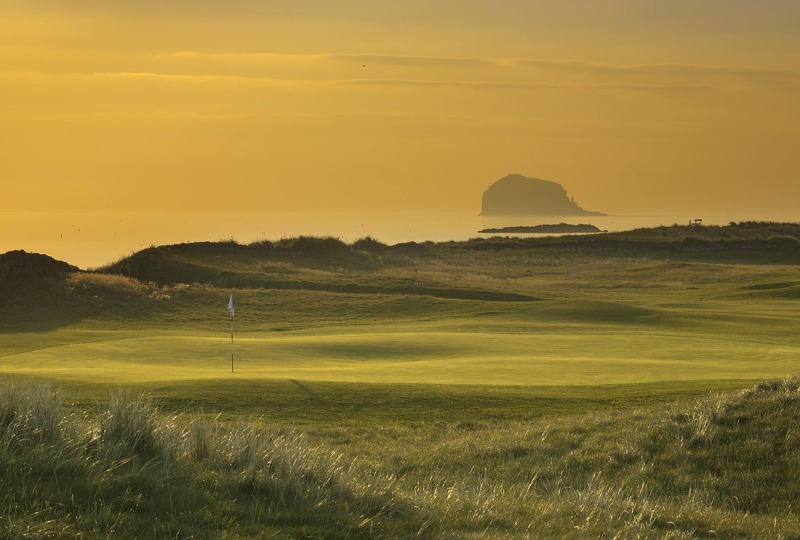 A sign at the front of the Clubhouse reads, "Your green fee ticket entitles you to temporary membership of the North Berwick Golf Club where you will be made welcome by members."